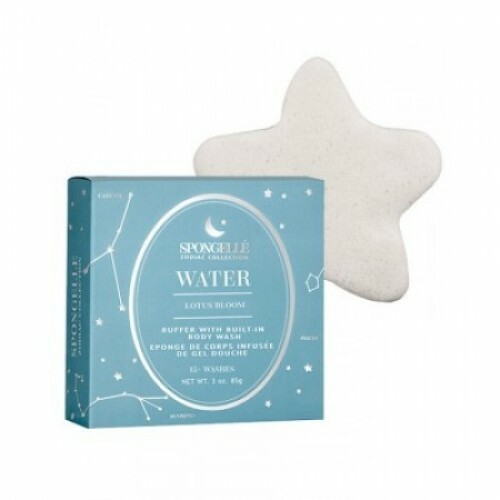 Channel your inner self with healing and peace with this star shaped body wash infused buffer representing the Zodiac's "Water" element with extracts of yuzu, edelweiss, & vetiver. Enjoy serenity & calm as the gentle flow of water cleanses your skin & leads you to moments of self-discovery. This multi-use, multi-function body buffer cleanses, exfoliates and hydrates all-in-one and will turn your shower into an enlightening bathing ritual leaving skin leaving it irresistibly soft and silky.